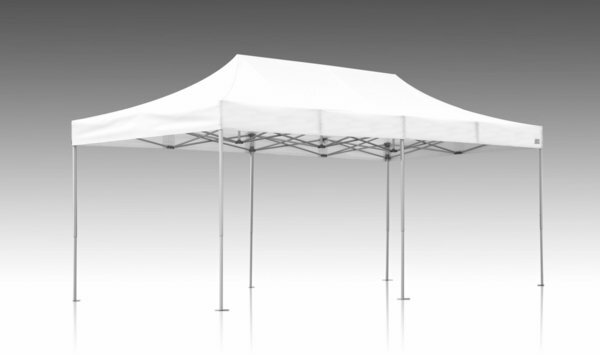 This Pop Up Tent covers 200 square feet of area. Put two together and it is as big as a 20ft x 20ft tent for less money. This item must be able to be staked otherwise 6 canopy weights must be ordered to secure it.